Tom Sensei first was drawn to the martial arts by the popular TV series Kung Fu. 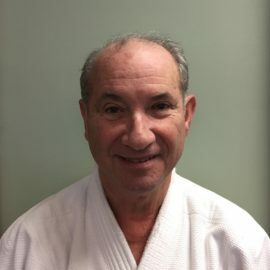 He first practiced Aikido in 1979 at Napa Valley Junior College. After two years, his profession required frequent relocations and he was not able to continue with Aikido. 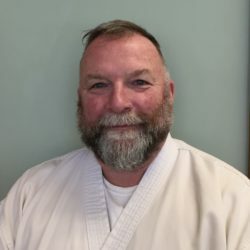 In 1995 Tom was able to begin serious training when he joined the Aikido Bushido dojo in Brussels, Belgium, where he was promoted to nidan (Belgian Federation) and shodan (Aikikai). 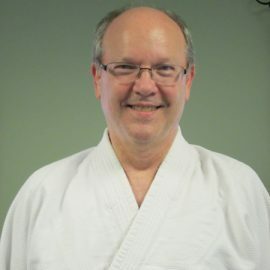 In 2005 Tom joined Aikido in Fredericksburg’s evening classes in Stafford until he again was sent overseas. 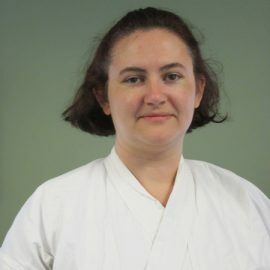 In 2012 Tom returned to Stafford and since then has fully dedicated himself to Aikido. 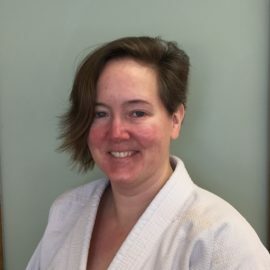 Tom’s other martial arts experience includes Hapkido and Iaido. Tom currently holds the rank of sandan and is a certified Fukushidoin (Assistant Instructor).